Last fall, we partnered with Code and Theory to launch the new visittheusa.com on Drupal 8. Code and Theory led project management, digital strategy, UX and design for the project, while Mediacurrent spearheaded the development, content migration and internal QA testing. See our case study for a closer look at how we developed a new website for Brand USA that combines a dynamic user experience with data-driven personalization features. 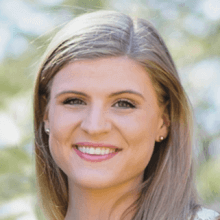 With entries from across the U.S. and around the world, the Magellan Award winners represent the best in the travel industry and salute the outstanding travel professionals behind it all. The Magellan Awards honor outstanding design, marketing, and services in a broad range of industry segments including Hospitality, Travel Destinations, Cruise Lines, Online Travel Services, Airlines and Airports, Travel Agents and Agencies, Tour Operators and Ground Transportation. The Magellan Awards are judged and overseen by a one-of-a-kind panel of top travel professionals representing the best names and most accomplished leaders from the industry. In determining winners, entries do not compete with one another, instead, they are judged against a standard of excellence based on the long experience of Travel Weekly. To uphold this high standard of excellence, a category may have multiple winners, or may have no winners at all. Each year the Web Marketing Association names the Best General Interest web site as part of the annual WebAward Competition. Since 1997, the WebAwards are recognized as the premier industry based Website Award program in the world. 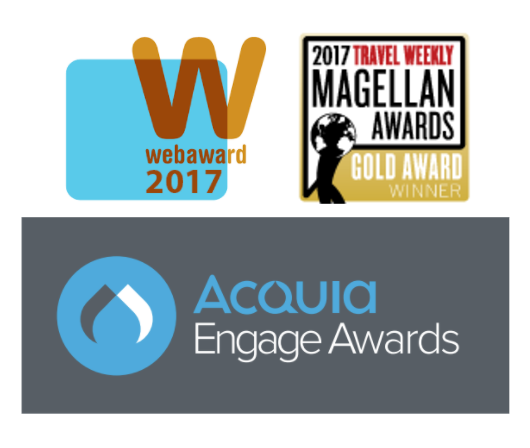 Acquia Engage is an awards program celebrating the innovation and creativity of Acquia customers and partners. A panel of distinguished judges comprised of luminaries from the digital and Drupal communities will evaluate the submissions based on several criteria, including: visual design, functionality, integration, and overall experience. In previous years, Mediacurrent has received Engage Awards for Weather.com and Curtiss-Wright.